OK, OK. Let's agree that on planet Earth at this time we cannot achieve sales perfection. But we can approach it. You can get better. OK, OK. Let’s agree that on planet Earth at this time we cannot achieve sales perfection. But we can approach it. You can get better. To become a “perfect sales professional,” you must master many elements. I know many of them, some learned in the school of hard knocks, others from people like you, still others from books and sales seminars—all tempered in the crucible of thousands of sales presentations. Undoubtedly, I missed some. And this is where I need your help. I have set up a survey here: www.bitly.com/perfectsales. It’s designed to help you assess your “state of sales perfection.” It is also designed to help me see what I’ve missed. I think there are some characteristics that I have just taken for granted. I am hoping, when you take my survey, that you will take a few minutes, think about the skills you have just evaluated, and tell me what I missed. When you complete the survey, as my way of saying “Thanks,” I will send you to a hidden website, the “Sales Perfection Resource Guide,” where you can download my white paper, “The Good Way to Sell.” It’s all about your sales process. Don’t miss it. I have also added many links and resources to help you master each of the “best practices” that make up this vital skill. But wait, there’s more! If you contribute a best practice, I will send you the final list of all characteristics which together make up the perfect sales professional. You only get the list if you think long and hard and tell me at least one characteristic I have overlooked. First, my theory on “best practices. A best practice is a technique or process which, through experience or formal study, is believed to produce results superior to other techniques or processes. Sales is a complex process. In my experience, there is no one best practice adopted by the greats and ignored by the also-rans. Rather, sales success is determined exclusively and only by implementing more best practices better. Each of the characteristics I am listing in this article constitutes a best practice. Books, or at least chapters, could be and have been written on each. The perfect sales professional would execute each of the sales best practices as well as or better than anyone. Many of these skills can take years to perfect. Others, days or weeks. All of them together perhaps a decade. All I have been able to do in this article is just identify them. A note of caution: In this article, I am focusing only on sales. I am not including prospecting, client service, systems within your company, or anything else. Sales is the process of increasing desire and reducing fear to the point desire to own a product or service outweighs fear of loss. With that in mind, consider this: The sale begins with the first appointment. What comes before is prospecting. What comes after is client service. 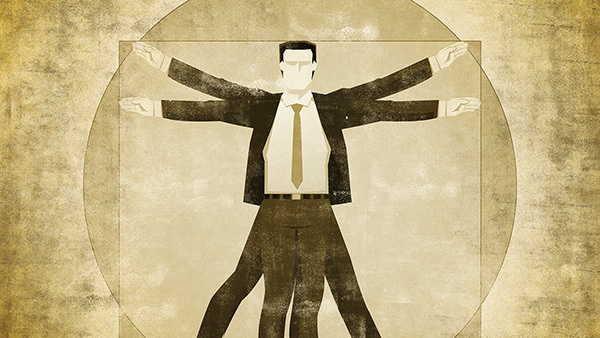 This article is all about the sales professional. People buy from someone. Or they are sold by someone they like and trust. Without these personal skills, nothing else really matters. Communication Skills. Too many sales people talk too much and they interrupt. Great sales professionals do neither. Dress for Success. The reality is: business suits are a form of authority clothing. Work Ethics. There is a lot of work to build and maintain a sales career. If anyone told you that you can build a career in a 40-hour week, they lied. Emotional Impact. I’m not sure this can be taught. This feature is perhaps 5% of your success, but 100% of your failure. If you cannot impact people, you cannot change the direction of their lives. Basic Product Knowledge. Basic product knowledge is a “who, what, where, when, why and how” kind of thing. Deep Product Knowledge. Deep product knowledge enables you to enhance the perception that you are an expert financial advisor. Proper Credentials. At a minimum, you need a good looking resume and references. A big step up is a great brochure, as well as a separate list of references tailor-made for the prospect’s demographic. Profiling—The Process of Asking Questions. The single most powerful sales tool is your questionnaire and your profiling skill. Asking questions forces garrulous sales people to listen. Next Appointments. Once you successfully complete the first appointment, always set the next one. NEVER tell the client, I will follow up next week. Ever. Failure to set the “next appointment” creates “floaters.” You lose commitment. You lose control. Proposal Skills. A proposal should be short, maybe four pages. I recently saw one that was 27 pages long. It was filled with industry gobbledygook. Product Presentation Skills. A great product presentation is short, does not contain industry terminology. (Some people think a “debenture” is what you put in a glass of water by your bedside table.) It focuses on features not benefits. It defines all unfamiliar terminology. Master “Gotcha” Questions. Clients and prospects seem to come up with “gotcha” questions. They are testing you. If you don’t have an immediate response, and preferably a clever immediate response, you lose points. When I was teaching myself to sell, after each presentation I would do a “debrief.” I made notes on legal paper of the sequence of the presentation. If it went off the beam, I tried to discover where. Many of the places it went off the beam were “gotcha” questions. Often I would build an answer to the question into my presentation. They never came up. Question Answering Skills. There is a simple rule: Answer the question in as few words as possible and shut up. The client/prospect will then ask the next question. Fish for questions and then answer as above. Closing Skills. An essential but overrated skill. Closing skills brings the process to a conclusion. It needs to end. Sometimes you win. Sometimes you don’t. A major problem, especially for rookies, can be building up a big list of prospects who have not decided one way or the other. Sooner or later, prospecting stops. CRM Mastery. Whatever program you use, master it. Be able to navigate quickly. Follow “The Law.” Every contact with a client or prospect produces a new note. No exceptions. It is these notes that enable you to keep dozens or hundreds of conversations going, sometimes over a period of years. If you are a lousy typist, learn Dragon Naturally Speaking, or subscribe to Copytalk. Data Purity. You are a fanatic for accurate contact information. On almost every call, you are verifying telephone and email address. People change these all the time. Materials Sent. This is a two-part skill. You need a library of information to send to clients and prospects who are mid-selling cycle, especially when there is more than a few days between contacts. And then, when information has been sent, you need a place to record every item sent, and when it was sent.